Argan Oil makes the best carrier oil for making any serum with essential oils. 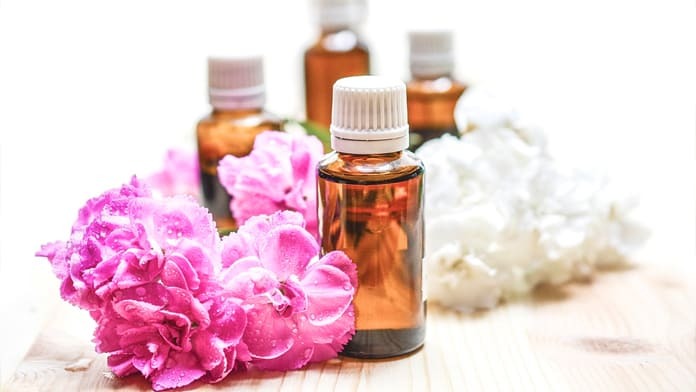 Essential oils are strong in their effects, their smell, and the oily residue they leave on the skin. This means they should not be applied directly to skin. Essential oils need to be diluted to around 1% to 2% in a carrier oil. 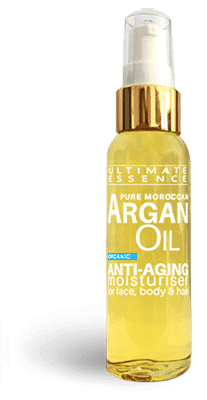 The benefit of using Argan Oil as a carrier is that it is already a gentle anti aging treatment for skin and blends well with all essential oils. One of the most interesting aspects of Apricot Kernel oil is that it makes a great base for blending. Like Argan Oil it is rich in Omega 6 fatty acids and also vitamin A to attack fines lines and wrinkles. Apricot Kernel oil absorbs into skin relatively quickly and is considered non-greasy, so it can be used on virtually any skin type. However, this oil is especially helpful for hydrating and healing very dry skin. A pure Lemon oil firms and helps to clean the upper layers of the skin to rejuvenate sagging skin. Lemon is also a natural antiseptic. These properties make it a good choice to combine with Argan oil for skin that suffers from oily skin, pimples, spots and acne breakouts or to help firm and boost collagen levels. Frankincense oil helps revive skin cells to reduce the appearance of minor scars, stretch marks lines, and wrinkles. It also has a good firming action and is a good choice to help firm skin and boost collagen. Rosehip Seed oil has one of the highest levels of natural “all trans retinoic acid”. It is said to help fade age spots and heal damaged skin by stimulating cell growth and collagen production. Geranium oil is similar to Argan Oil in its anti inflammatory effects. It is a good essential oils to add for the treatment of inflamed skin conditions such as Eczema and Acne. It has a stimulating action to improve circulation in the upper layer of the skin. This may help fade skin marks and even out skin tone. Avocado Seed Oil is great for sensitive and dry skin and like Argan Oil is rich in vitamins A, B1, B2, D, E, protein, pantothenic acid and fatty acids. Avocado seed oil is different from Avocado oil and increases water-soluble collagen content in skin giving a deep hydrating effect. This oil blends very well with Pure Argan Oil. Moroccan Cactus Seed Oil is a silky smooth oil ideal for targeting facial lines and wrinkles. Very effective for dry skin, Eczema & Psoriasis. It is even higher in Vitamin E than argan oil and contains a complex blend of plant sterols. This amazing oil contains some of the largest amounts of lauric acid, giving it antiviral and antibacterial qualities. Coconut Oil melts on skin contact and has a wonderful scent. Combine with Argan Oil for stretch marks and new scar tissue. Borage seed oil from the Star Flower herb is well known as an alternative to Evening Primrose Oil. It is packed with GLA and has a strong effect on hair, skin and nail condition when taken as a supplement. This natural fatty acid maintains healthy skin and repairs tissue damage and is an ideal boost for mature or aging skin. Neroli oil has a strong anti-inflammatory antiseptic and antibacterial action. Combine with pure Argan oil and other anti-septic and anti-inflammatory oils for Acne, skin rashes and stretch marks. Calendula is a popular skin healing herb known for it’s gentleness. This makes it a good option for sensitive skin. Calendula’s healing qualities are beneficial for slow healing wounds, burns, eczema, inflammations on the skin and bruises. It also has proven anti-fungal, anti-septic, and astringent properties. Castor oil was one of the world’s first medicinal oil’s because it naturally contains a unique and beneficial mixture of triglycerides or fatty acids. About 90% of Castor seed oil contains the hydroxy fatty acid ricinoleate (ricinoleic acid). Ricinoleic acid inhibits the growth of many viruses, bacteria, yeasts, and moulds. This oil comes from the fat stores of the Australian Emu. Many healing properties have been discovered from it’s use. It is anti-bacterial, anti-inflammatory, skin regenerative, moisturising and does not clog pores. Used to relieve sunburn and help prevent of scars. Emu oil is high in oleic acid which makes it able to penetrate well into the skin. Hemp seeds produce a vegetable oil that is high in protein and can be used within a variety of foods and cosmetics. Hemp Seed Oil is one of the most effective essential oils for skin. Being high in linoleic acid it is a very nourishing and healing oil for skin. Jojoba is actually a liquid wax extracted from the fruit of the Jojoba plant. It’s composition is very similar to human natural skin oils. This allows it penetrate the skin well. In our Hair Magick serum we use Jojoba oil with Argan Oil for its natural scalp conditioning properties. This helps to prevent dandruff and cleanses the hair root to promote healthy growth. Kalahari Melon Seed Oil is very similar in chemical composition to Argan Oil. It has some og the same benefits for the face, skin and hair. The kalahari desert melon comes from Africa where it is also used traditionally as a topical treatment for dandruff, scars and varicose veins. We occasionally have a small stock of this rare oil the women’s cooperatives of Namibia. To view current stock and learn more your can read our Kalahari Melon Seed Oil article.